Aggregate Industries has helped to bring the ‘world’s first skyscraper’ – the grade 1 listed Main Mill at Shrewsbury Flaxmill Maltings in Shropshire – back to its former glory, after it lay derelict for decades. Working with partners SMC Minimix Concrete, Aggregate Industries supplied its revolutionary Lytag lightweight secondary aggregate in order to support the fragile iron structure of the building during its redevelopment, as part of the current restoration project by Historic England. Termed ‘the most important building of the modern age’ by the Chairman of the National Lottery Heritage Fund, Sir Peter Luff, the site comprises of eight listed buildings, including the Main Mill, which was built in 1797, when Shropshire was at the heart of the industrial revolution. As the first iron-framed building, the site paved the way for modern skyscrapers and has a rich history; originating as a state-of-the-art steam-powered flaxmill spinning linen thread from flax, before being converted into a maltings at the turn of the 19th century. The site was also temporarily used by the military as a barracks during World War II before falling into disrepair in the late 1980’s after the doors closed on the maltings for the last time. 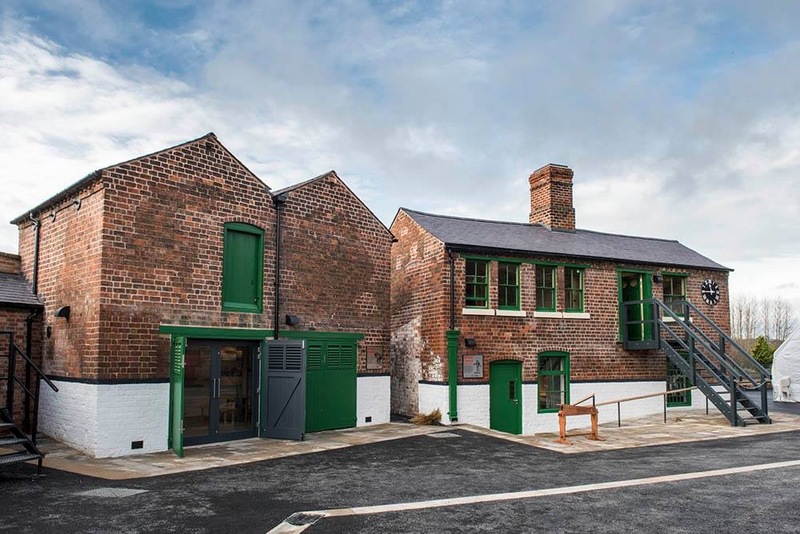 After being purchased by Historic England as part of an initiative to save the site and restore it along with Shropshire Council and the Friends of the Flaxmill Maltings, a visitor centre opened in 2015 as part of the first phase of restoration works. Now in its second phase thanks to a Heritage Fund grant, work is currently in progress to fully restore the Main Mill and Kiln buildings. When complete in 2021 these buildings will be home to a brand new public interpretation space and café at ground level and several thousand feet of contemporary office and meeting space on the floors above, creating a new learning and enterprise quarter for the region. Future plans for the remaining land and buildings on site include the development of new living space. For main contractor Croft Building and Conservation Ltd, a key requirement of the project was to source an aggregate solution that would be lightweight enough not to overload the fragile iron structure. As a highly innovative lightweight solution, Lytag was ideal, as it can effectively reduce the composite deck concrete slab load by approximately 25% over normal weight control, while offering the same level structural performance. Made from secondary aggregate, Lytag also offers a much more environmentally friendly alternative to standard concrete, as thanks to its unique properties, it can help to significantly reduce the amount of material required on a project, along with the associated carbon emission produced in delivery. Barry Mellor, Commercial and Technical Manager for Lytag, comments: “We were contacted by Croft Building and Conservation, as they had specified Lytag for the project because of its obvious synergies with the requirements of the job. They had been struggling to find a concrete supplier due to specific quantities being no more than 24 cubic metres, so we partnered with SMC Minimix Concrete, as they were ideally placed to deliver the volume required. We worked closely with the team to facilitate the project, sharing advice and mix designs for the end product, in order to provide a holistic solution for the customer that played to each of our strengths; product innovation and logistics. “The material was delivered by SMC and pumped by Pez Concrete Pumping, firstly to the fifth floor, followed by the fourth and finally the third floor; all within four hours, which was even more impressive due to the pump operator having to dismantle and set up for each floor pour. Product segregation can be a problem on these types of jobs, especially with the pumping height being 22m, due to potential increased pump friction causing excess vibration and the risk of blockages, however placement went as expected and the result was a perfect finish.